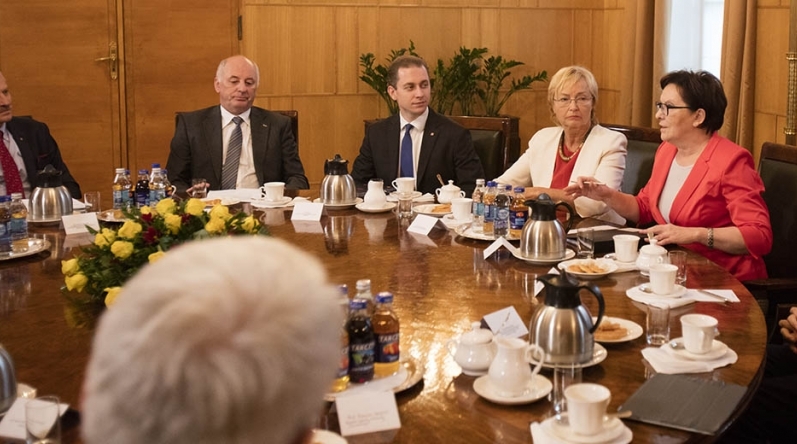 Prime Minister met with representatives of academia | GO POLAND! Minister of Science reported that at the meeting representatives of the academic community discussed, for example, how important winning grants is for young people and how essential it is that funding for grants does not decrease. The meeting participants also spoke about the problems of infrastructure maintenance - both the infrastructure built recently with European funds, as well as the aging infrastructure, which also needs to be maintained. Participants of the meeting asked Ewa Kopacz about her plans concerning the promise in her exposé of the increase in funding for science (funding for research and development should be increased to 2 percent GDP by 2020). 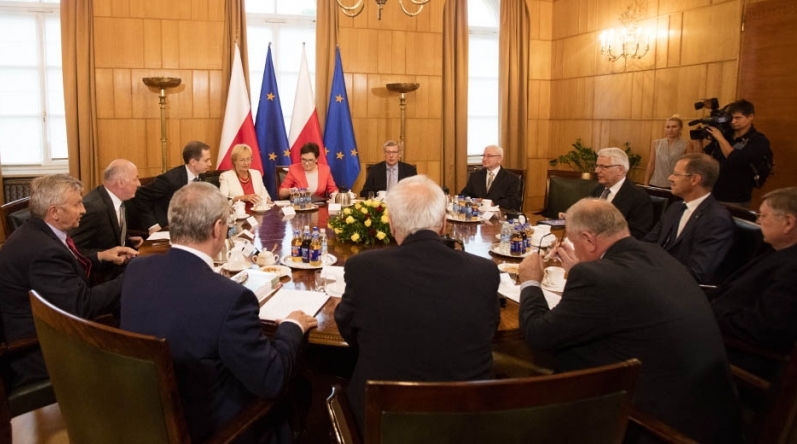 "The Prime Minister said that budgetary discussions will take place in the coming days" - said Lena Kolarska-Bobińska. The minister announced that the next meeting, in a slightly smaller group, will be held soon, probably in about a week, after the first concrete budget proposals from the prime minister. The Ministry of Science spokesman Łukasz Szelecki told PAP that, in addition to Ewa Kopacz and Minister of Science and Higher Education Lena Kolarska-Bobińska, the meeting was attended by President of the Conference of Rectors of Academic Schools in Poland and rector of the University of Silesia Wiesław Banyś, President of the Conference of Polish University Rectors and rector of Adam Mickiewicz University in Poznań, Bronisław Marciniak, rector of the University of Warsaw Marcin Pałys, President of the Polish Academy of Sciences Jerzy Duszyński, President of the Foundation for Polish Science Maciej Żylicz, Chairman of the Central Council of Science and Higher Education Jerzy Woźnicki, rector of Lodz University of Technology Stanisław Bielecki, Chairman of the Council of National Science Centre Michał Karoński and rector of the Warsaw School of Economics Tomasz Szapiro.